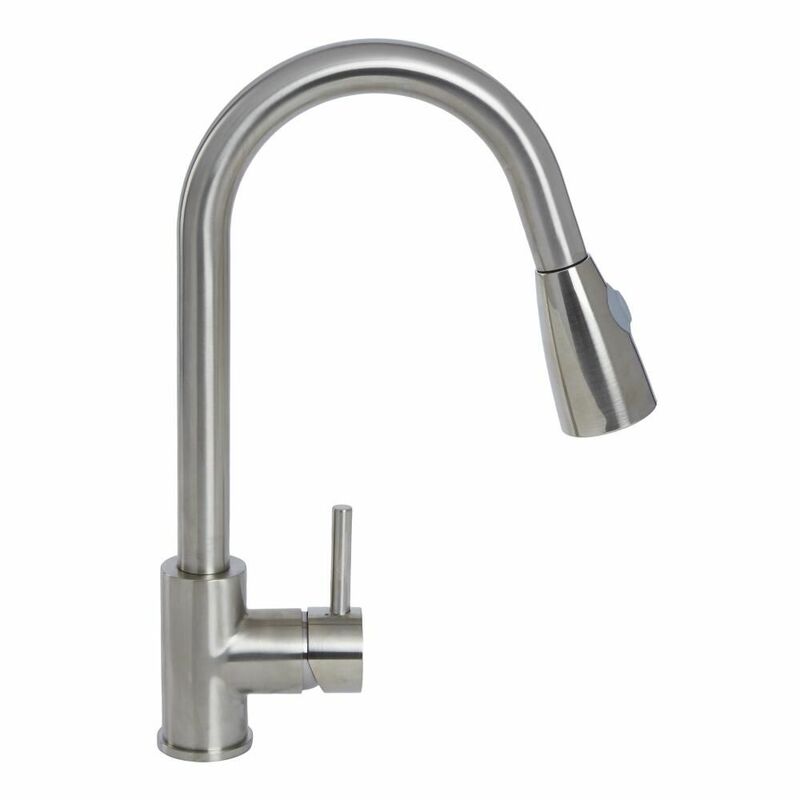 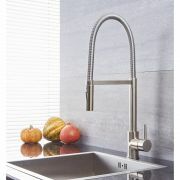 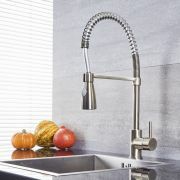 Provide your kitchen space with a sense of designer style as well as practicality by adding this Quest single-hole pull-down kitchen faucet. 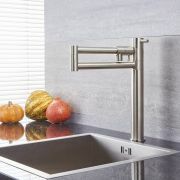 With a solid brass construction guaranteeing superb durability, the mixer faucet, supplied complete with pull-out handshower, sports a lovely brushed nickel finish and a beautiful modern design. 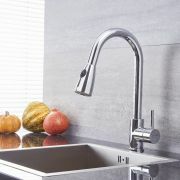 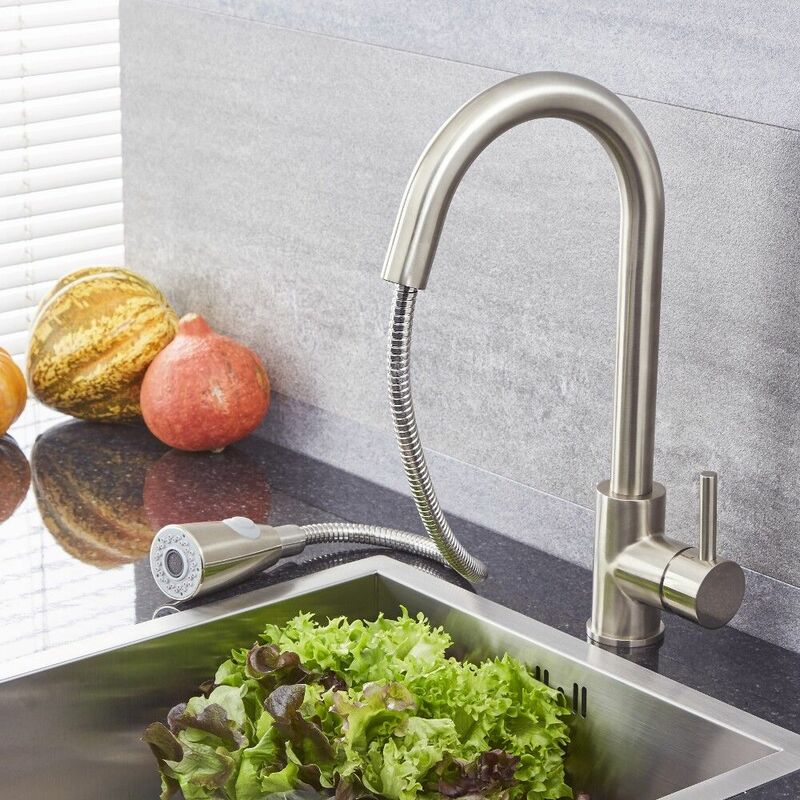 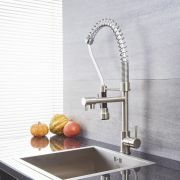 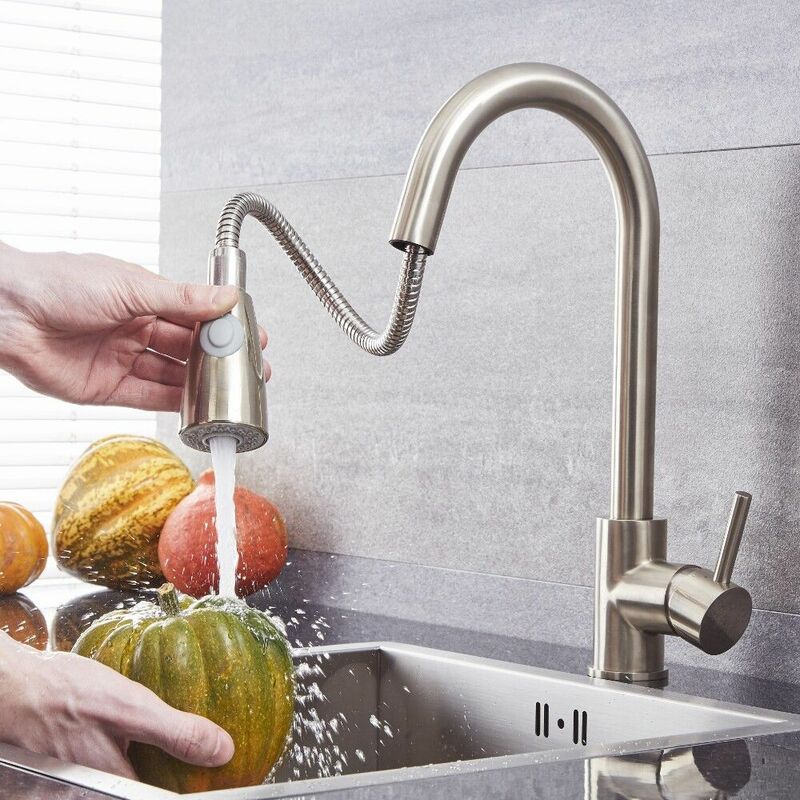 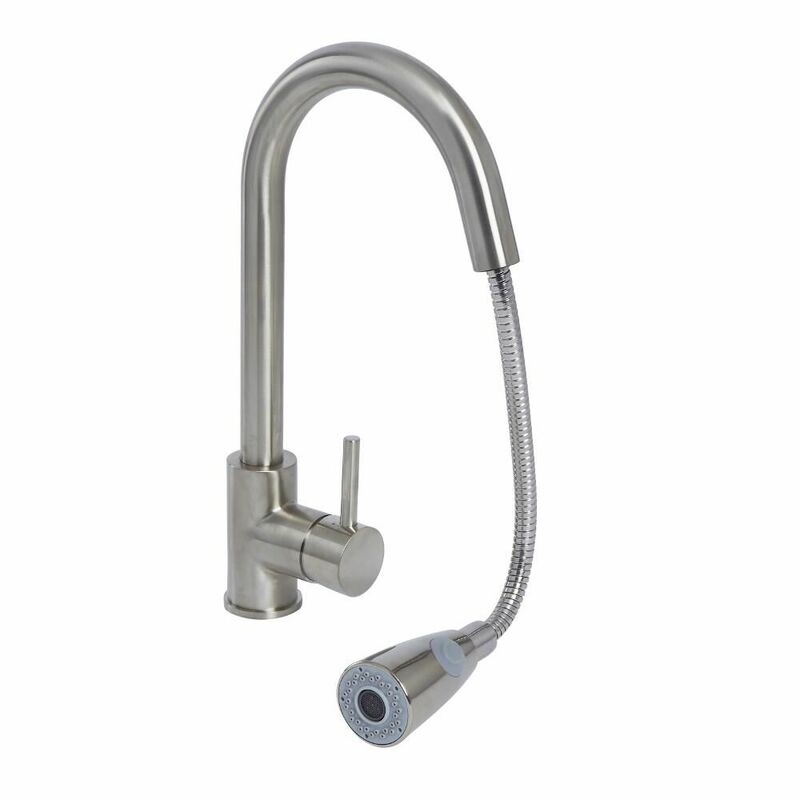 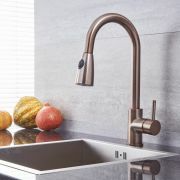 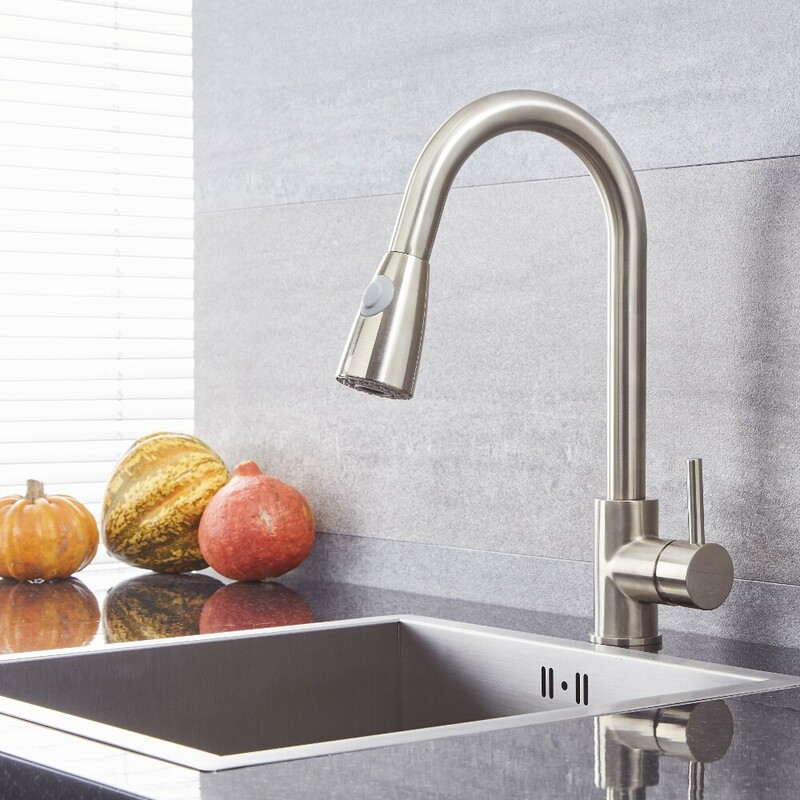 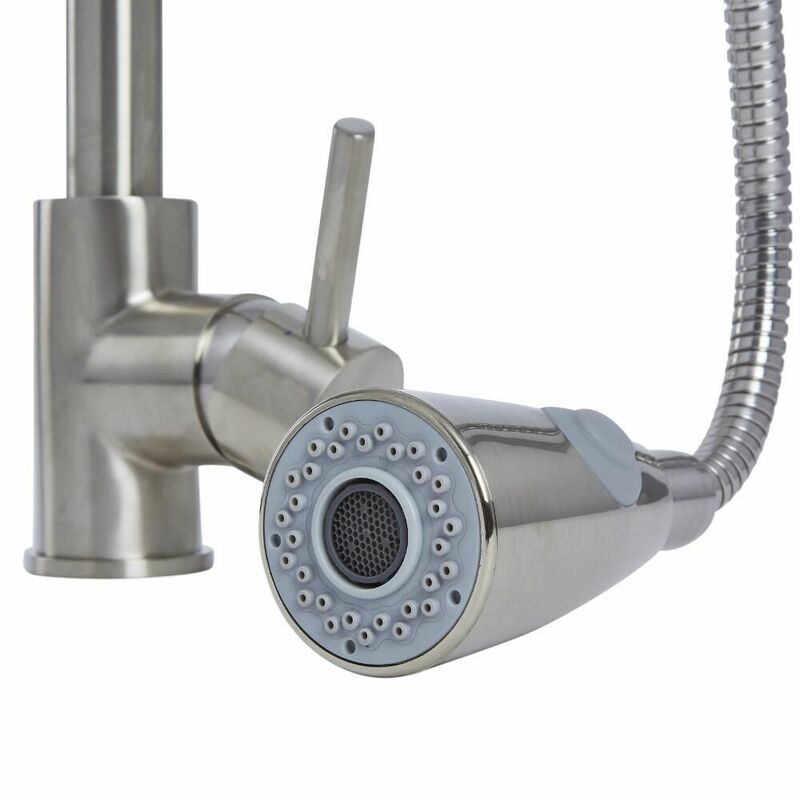 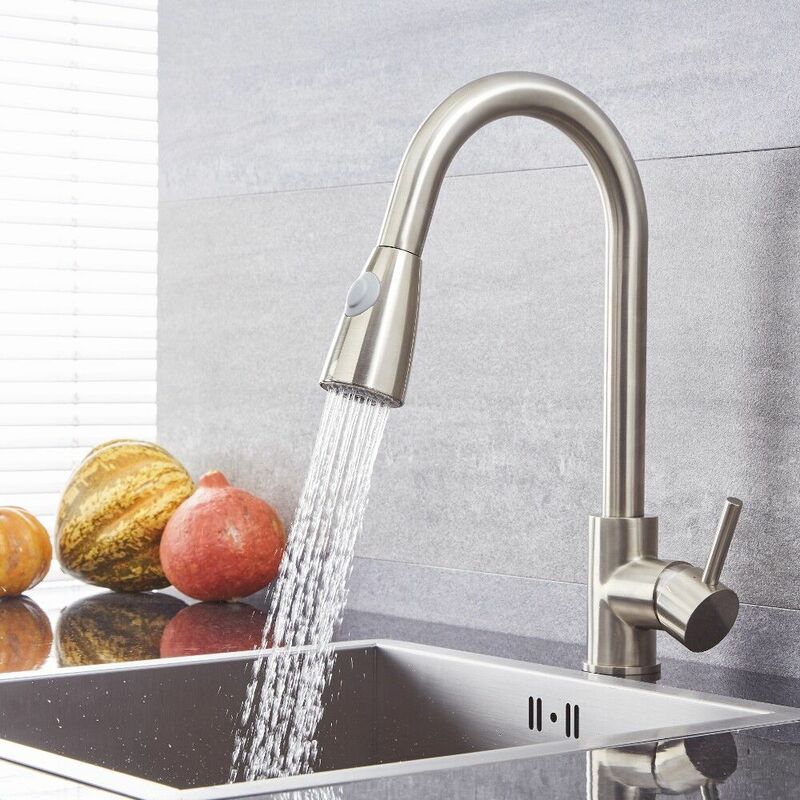 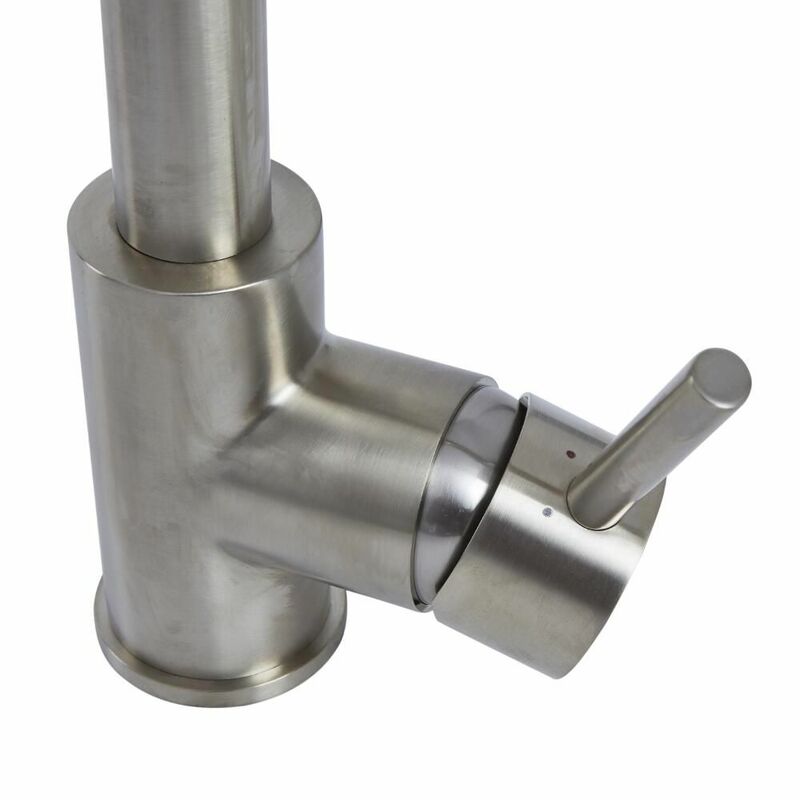 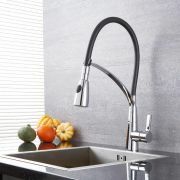 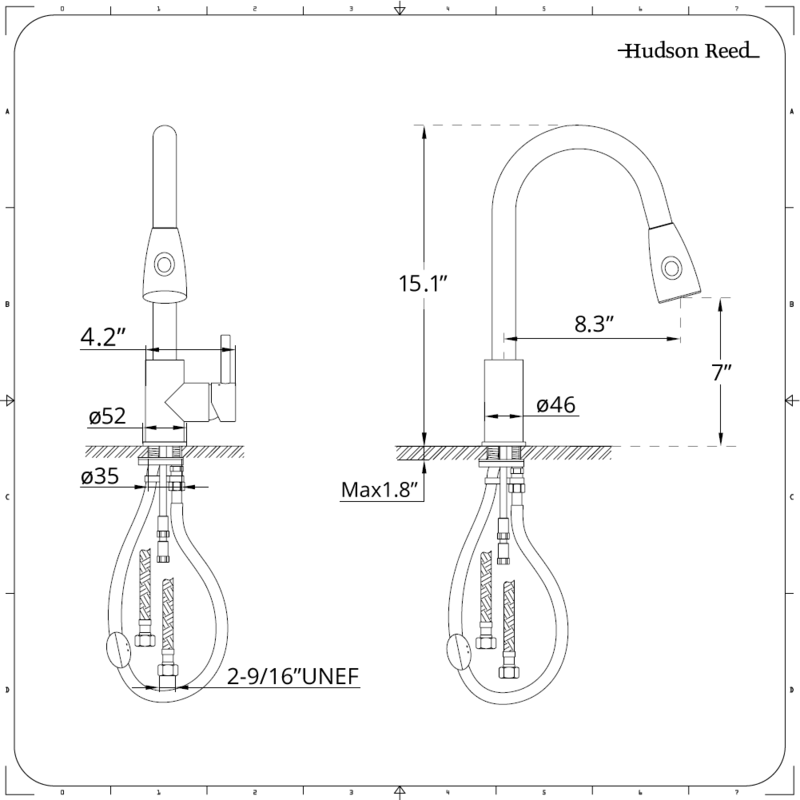 Also utilizing ceramic disc technology to prevent drips and leaks, this deck mounted faucet includes a single lever for the control of water flow and temperature.